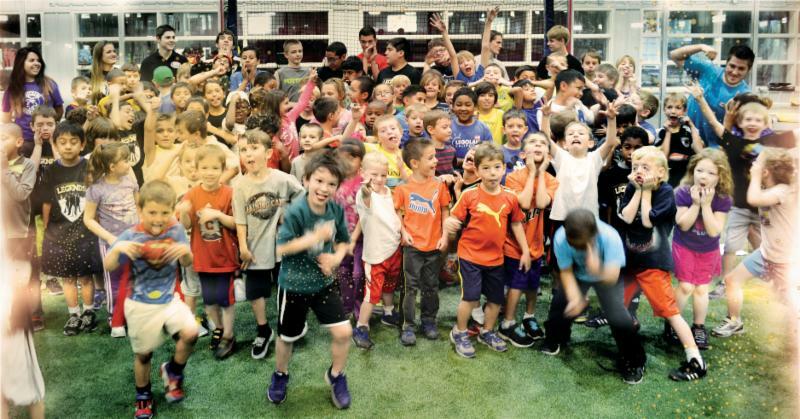 Sports are FUN, but they are more fun when you come to play at Las Vegas Indoor Soccer.Our professional, passionate, and positive coaches will ensure that your child has a great time with their friends while improving some of their athletic abilities along the way. Our Camp provides the perfect opportunity to improve skills, make new friends, laugh hard, and smile a lot in a cool indoor environment outside of the Las Vegas Sun. Remember it’s always cooler at LVIS. All of our camp counselors are well-trained and love what they do, so we guarantee that your kids will have a wonderful time. Keep your kid active and burning energy, providing kids a range of fun, and skill building activities throughout the day. Register for full weeks or even a single day of camp. Our camps provide the flexibility you need for your school break. A camp that works with your schedule! Have your children come play and practice with our highly trained professional staff of experienced soccer coaches during one of our 3 hour clinics. The perfect environment for children of various skill levels to improve with their peers in a clinical setting during their time off from school or on holidays. Coached by our NBN Basketball Instructors our Youth Basketball camps are designed for all players not only to develop a love for basketball but also to discover the skills necessary to excel on and off the court, the perfect summer activity for kids to make new friends and learn how to work as a team. 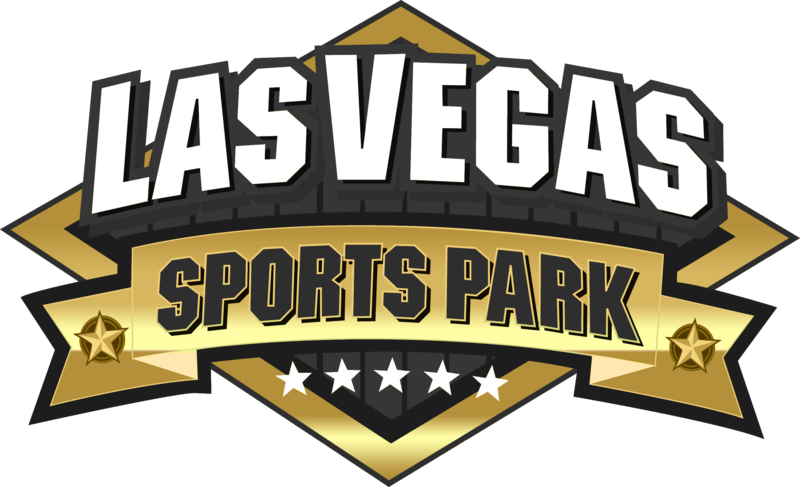 *Free Early Drop-off: 8am – 9am free play on the field at the Las Vegas Sports Park. Organized activities start at 9am. 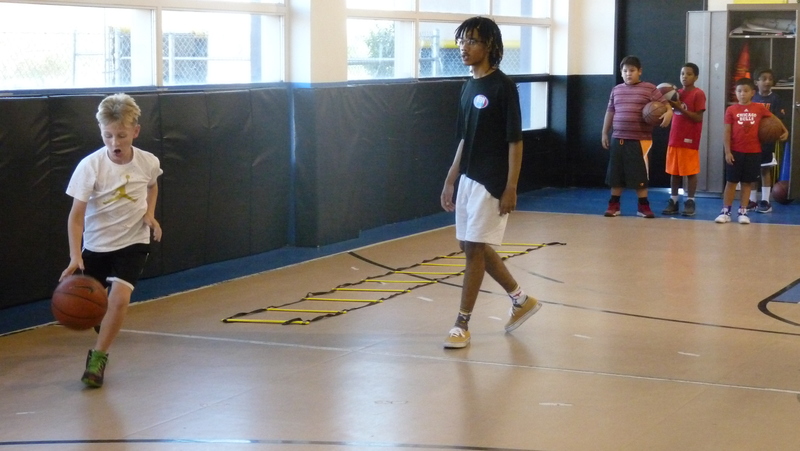 Late Pick-up available if requested in advance, 4:00pm – 5:00pm, $10.00 per child. *Every Camp Participant must have a Child Authorization / Pick – Up form filled out prior to them attending any camps. They should bring a water bottle, as well as any allergy or emergency medicine if needed. They should wear comfortable cloths to run and jump around in, as well as socks, and athletic shoes. Does my child need to bring a lunch or snack with them? We do provide snack, once a day in the morning, that will include a juice box and glutton free fruit snack. If your child is staying all day long they should bring a bagged lunch with them. What activities will my child be doing at camp? Well qualified and trained coaches are with the kids at all times, they love what they do, and are great with kids of all ages! Coach to camper ratio is 1:10. How are campers divided into groups? We group kids into the proper age ranges, taking into consideration social and cognitive levels since they will be matched up to appropriate and interactive activities accordingly. If siblings are close in age but they are divided, they do have the option to join each other. However we recommend that the children remain in their proper age groups so that they benefit the most from their day, week or summer at camp. Camps are non-refundable, however you may transfer your child to a different week of camp. Transfer Policies are as follows: If a Transfer is requested 14 days prior to the start of camp, your child can be transferred to a different week for a $25 Camp Transfer Fee. 7 Days prior to the start of camp your child can be transferred to a different week of camp for a $50 Transfer Fee. No transfers or refunds will be issued the day of camp. What is a camp authorization form? These are pick up and drop off forms, we do check ID when you come to pick up your child from one of our clinics or camps. If you are attempting to pick up a child and your name is not on the authorized list we will not release them. All camp participants need to have a signed authorization form filled out prior to attending camp for their safety. What time is After Care? After Care starts promptly at 4:00pm and will end at 5:00pm, this is an additional $10 charge. Children will be given coloring activities, card games, etc. and will be sat at a table with Coach Supervision. Can I sign up my 4 year old who is about turn 5? Yes, however this is only with permission from our camp director. If your child does not participate or is unable to stay the entire camp time, requiring an early pick up you will not be eligible for a refund or credit. If my child has an allergy or needs to take medication, who do I contact? You should contact the camp coordinator when checking your child in at the front desk. Let them know of any allergies or medication your child may need, such as an EpiPen. They will notify the rest of the staff and have the medicine kept in safe and centrally located area.